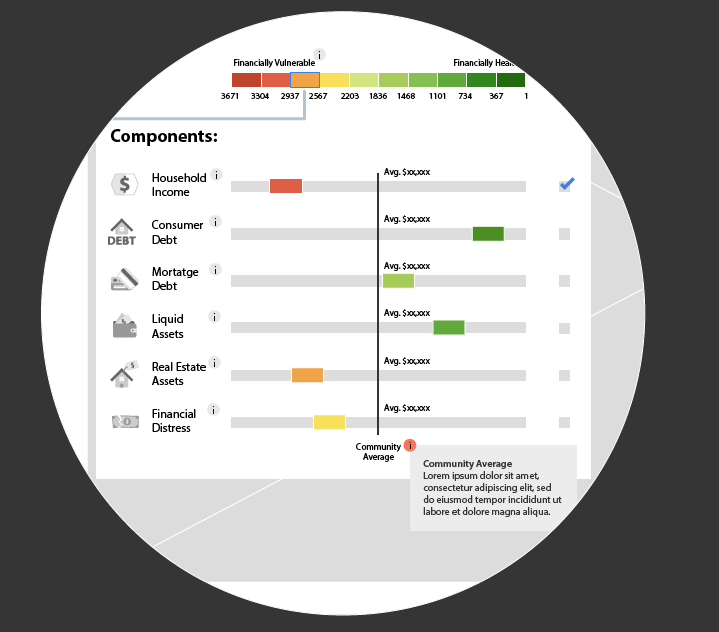 NFHI interactive tool is a proposed new, composite measure of household financial vulnerability. 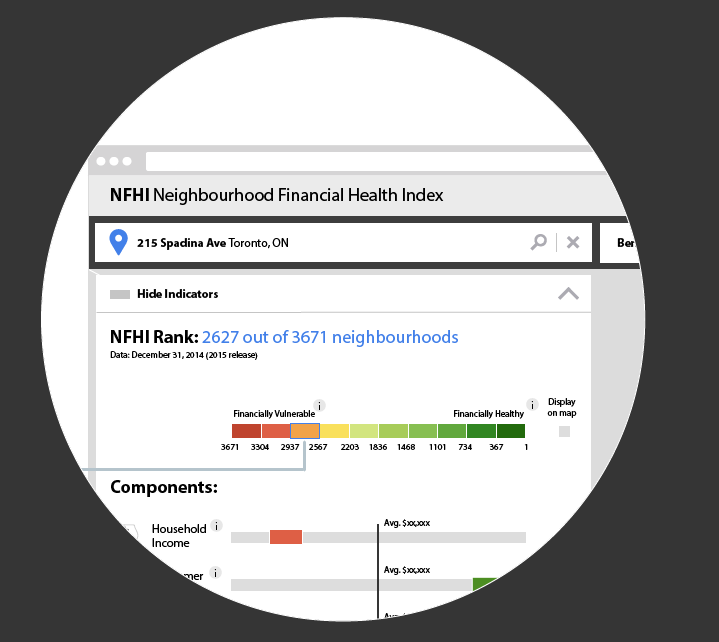 The Canadian Council of Social Development and Prosper Canada developed of a new national Neighbourhood Financial Health Index. 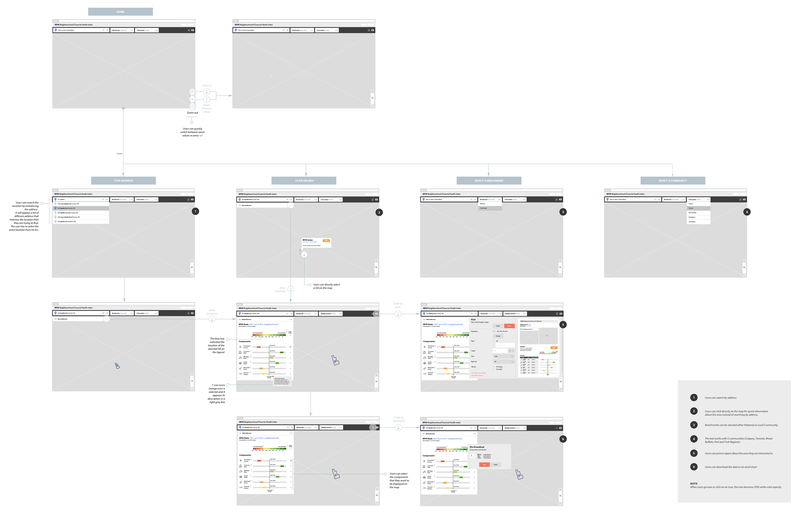 The user interface was unclear; too many data, not visually appealing, difficult to understand the information provided and hard to draw conclusions/recommendations. 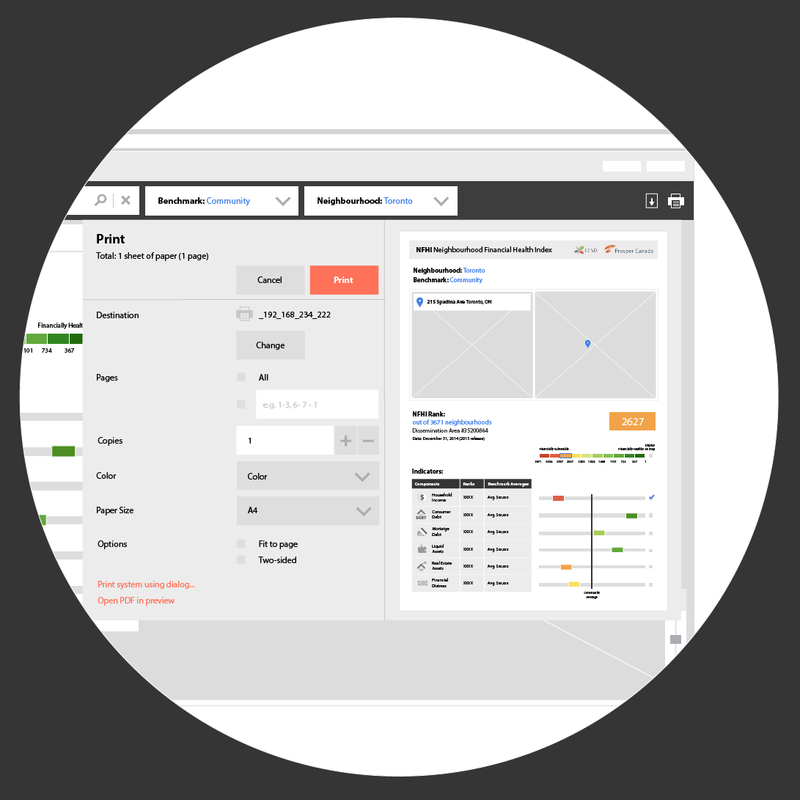 Strengthen the NFHI indicators, indexing methodology, and prototype mapping tool by integrating to a more user-friendly and intuitive approach to visualizing the scores for each indicator and the index. It was a constraint on being able to share actual data. We got around this by indexing the target community’s score vs. the national average. 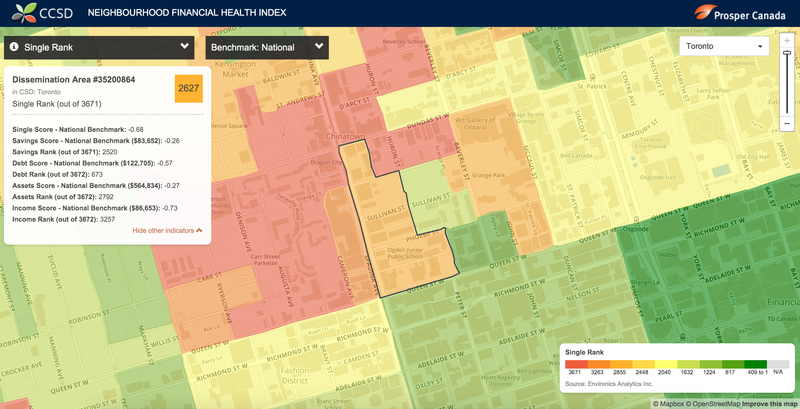 With the simplified interface, the user got to see what the NFHI score for the community is overall, how it visually ranks versus all the other communities along a decile scale, and then the relative ranking vs. the average across all of the sub-indicators. 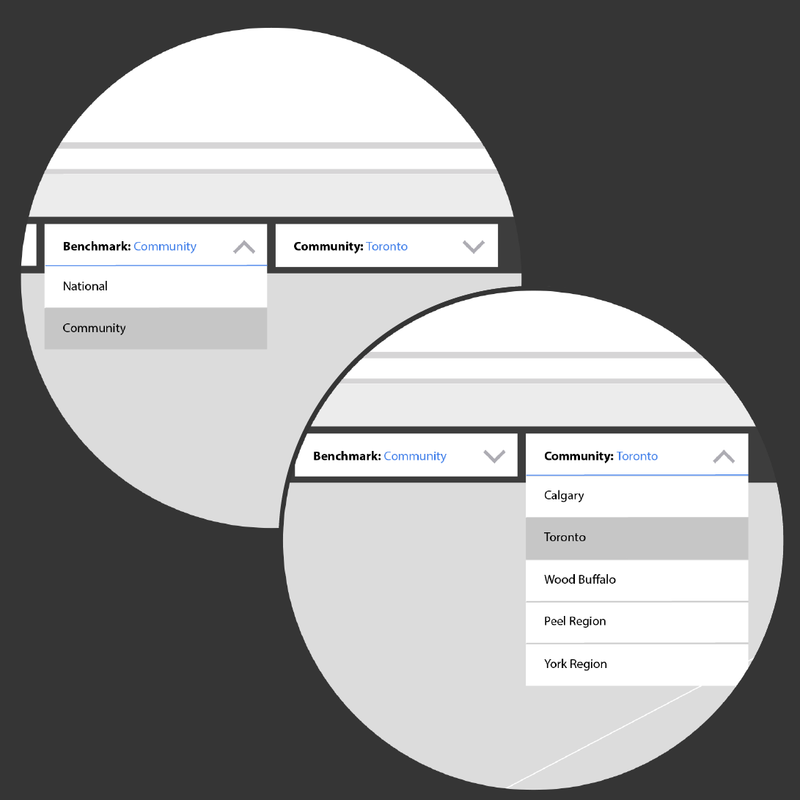 Users can choose either National or Community Benchmark as well as select which population they want the get data from. A search box is now available to find specific locations. Users can also select a DA on the map to get the data that they want to see without using the search bar. Color-coded legend map: The value of the selected area is shown on a color-coded legend map that goes from Financially Vulnerable (red color) to Financially Healthy (green color). New incorporation of new indicators and data: Income, Liquid Assets, Real estate assets, Consumer debt, Mortgage debt, Financial distress. 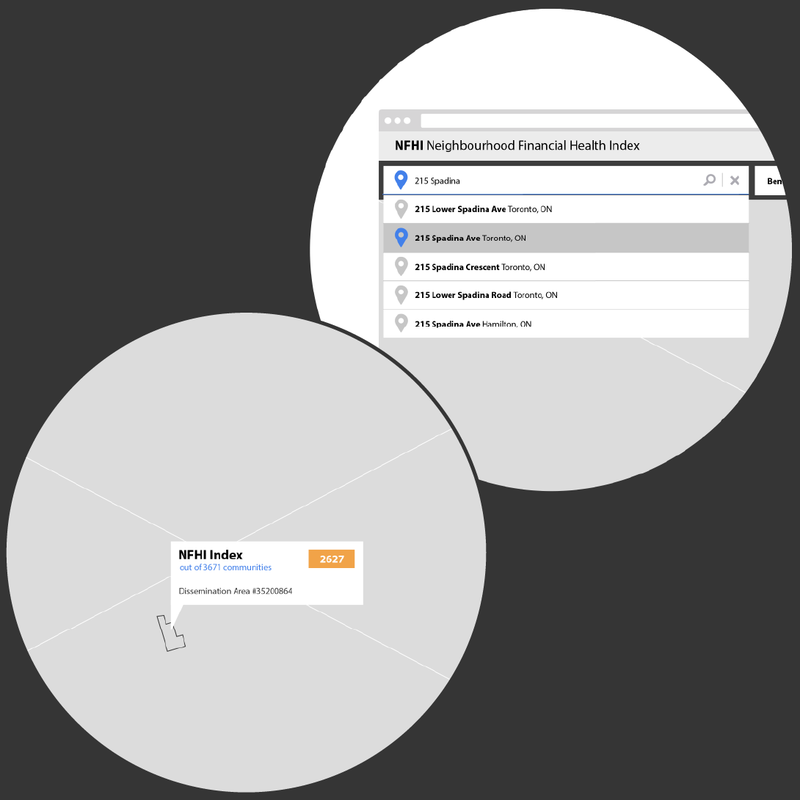 The tool indicators are now represented through icons to easily be recognized. Sub-component indicators data: the scores are also available to see on the map by selecting them. 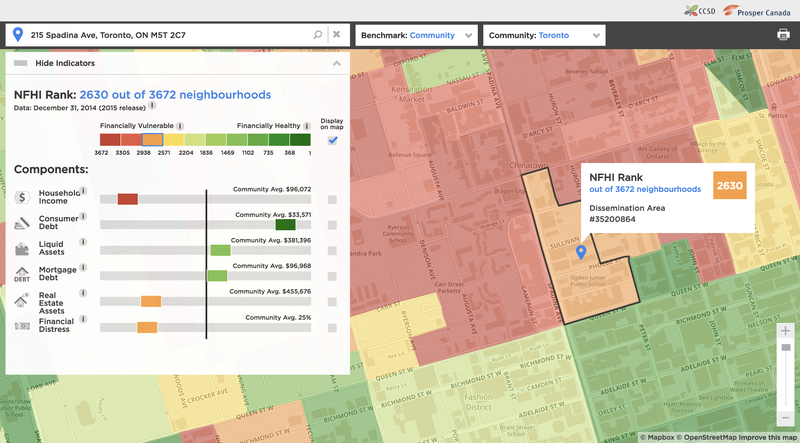 We developed and tested a prototype NFHI data visualization (mapping) tool populated with data for 5 participating communities (Calgary, Toronto, Wood Buffalo, Peel Region and York Region). We reviewed and validated the NFHI methodology and mapping tool by a panel of external experts.